March is always a hard month for us. The kids are getting sick of their toys and the weather is still a little too cold to play outside. Lately my kids have been asking me “Mom, what can I do?” a dozen times a day. I’ll be honest and say it feels like a 100 times! And I’ve been stuck. I’m not sure what to tell them and I noticed myself getting annoyed by their constant badgering. 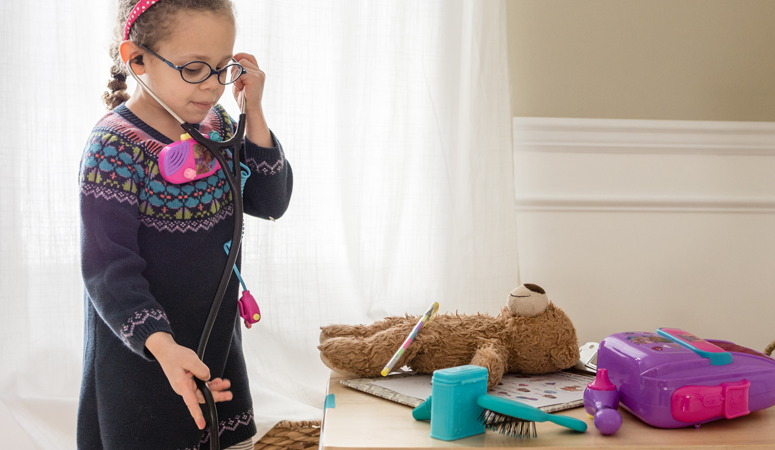 Enter our pretend play doctor’s office. 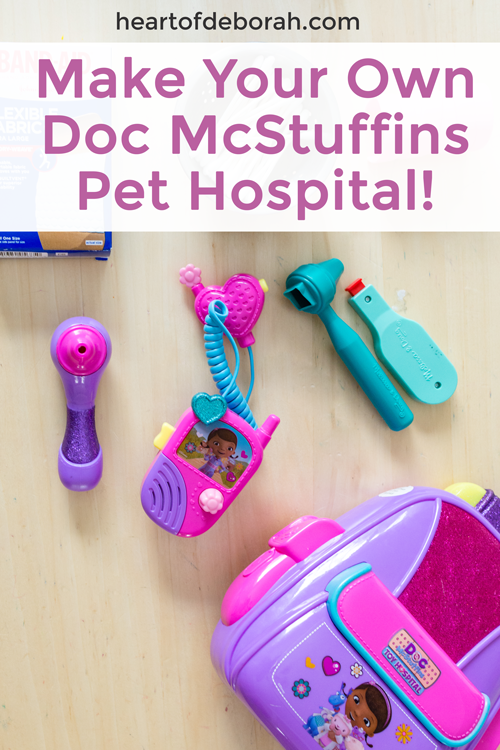 My daughter is obsessed with Doc Mcstuffins and we used to be so good about setting up dramatic play centers in our play room. We kind of lost steam in this area last summer. We spent so much time outside we forgot how wonderful play scenarios are for boredom. I wish I would have thought of this sooner! 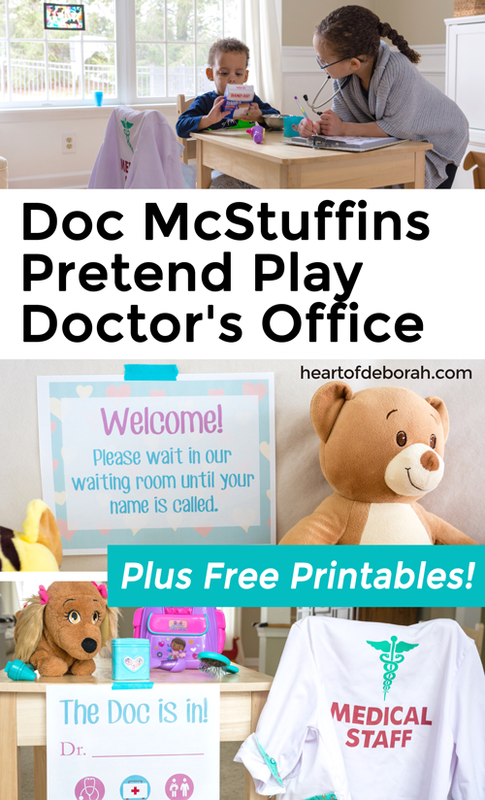 So I did some of my best work searching the internet for free Doc McStuffins printables and I found a few ideas perfect for our DIY doctors office. 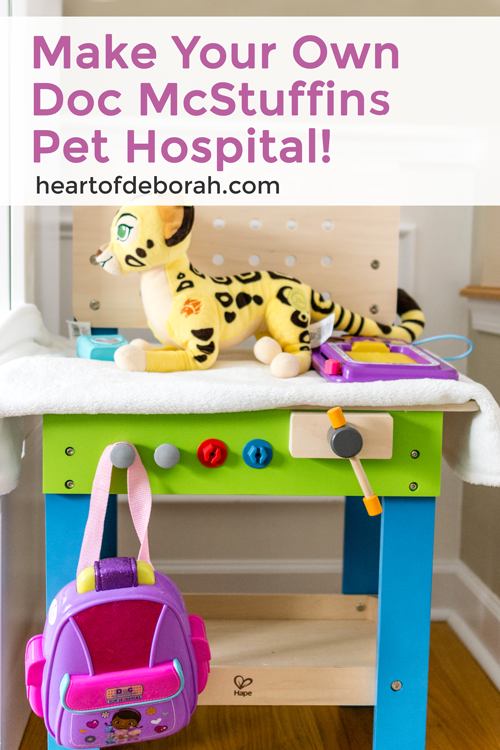 You can use a lot of these supplies to either make a pretend play pediatrician office or a veterinarian office. 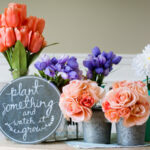 It doesn’t have to be Doc McStuffins themed, but it worked well for our kids. We found a lot of our “supplies” around the house and in our pretend play box. 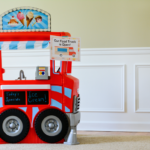 Not sure you can handle pretend play with your kids? Don’t know where to start? 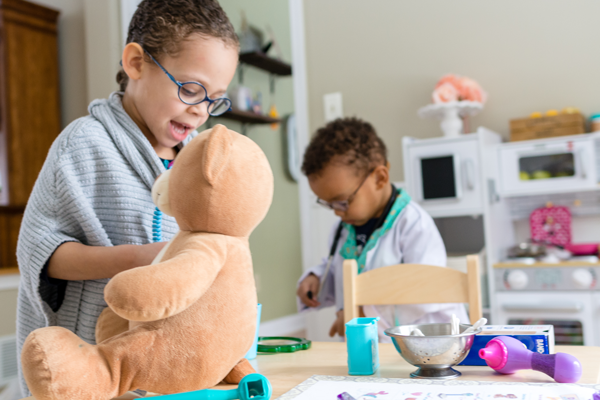 Read how to engaging in imaginative play with your kids. After you gather all your supplies you can officially set up shop. Don’t worry if you don’t have all the tools, you can certainly improvise. My kids don’t have a huge doctor’s kit. There were just happy to gather all their stuffed animals and give them a check up. We had a waiting room and an exam room. My daughter, who is 4, loved to check off all the items on the Doc McStuffins pet vet check up list. She also used some food from her play kitchen to feed her animals. I know it seems elaborate and time consuming, but it truly doesn’t take much time to get it set up. My kids played here all afternoon and I no longer heard “Mom! What Can I do! ?” It was a win-win. So what about you? Do you love or hate pretend play? What are your favorite dramatic play centers? I’d love to hear from you in the comments below!